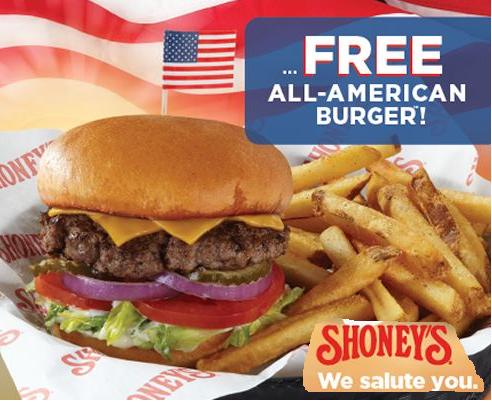 Shoney's is offering a FREE All-American Burger and fries to all veterans and active duty military on Veterans day. Shoney’s military guests will need to provide proof of military service. and enter in your info and print. They'll send the coupon to your email.